The other day while reading and contemplating Luke Chapter 1 in my Catholic Journaling Bible, I came across this quote, “Mary is so steeped in scripture that when she breaks out into praise the words that naturally come to her lips are the words of scripture.” The author of the quote was referring to the similarities between the song of Hannah in the Old Testament and Mary’s Magnificat found in the first chapter of Luke. This year I’m going to be sharing some Bible journaling and verse mapping from my Inspire Catholic Bible. 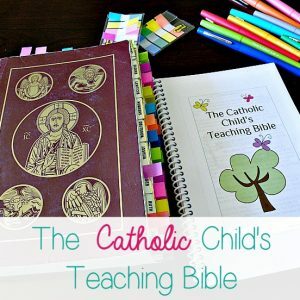 Although I love the Blessed is She Catholic Journaling Bible, I’m primarily going to be using this one for two reasons. 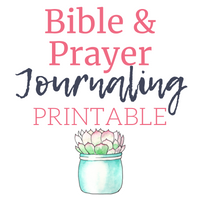 First, so many of you have shared your desire to start Bible journaling but are afraid to start. I totally get that! The Inspire Bible makes it so easy! There are lovely designs on many of the pages that you can just sit down with colored pencils and start coloring. 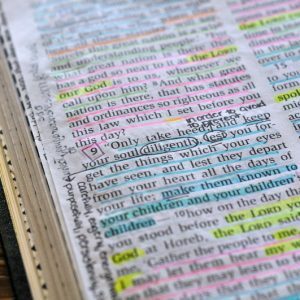 Coloring these word art graphics in the margins can and is a spiritual discipline in itself. 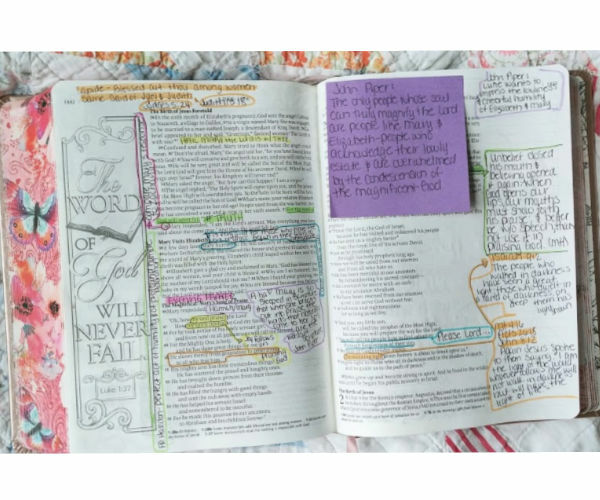 You literally have your hands on the Word of God and as you color, your mind reflects and ponders the Word. What a great use of time! 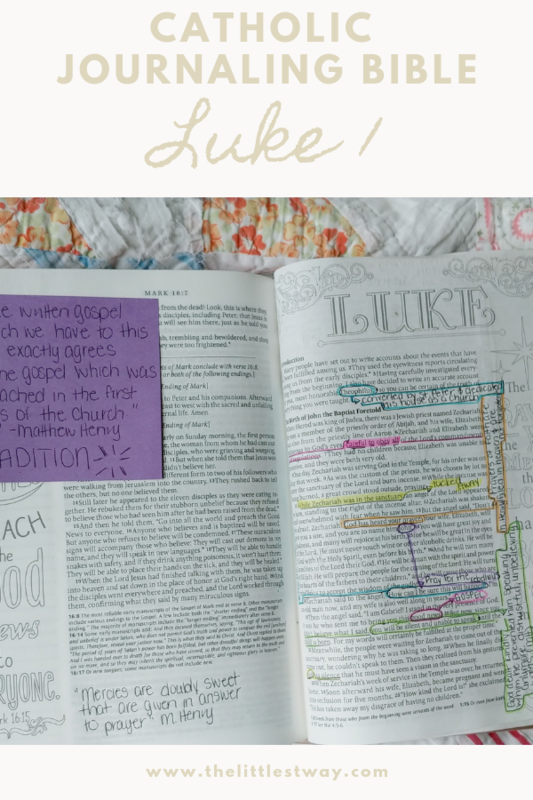 These word art margins allow you to begin to stretch and then trust your creative instincts in Bible journaling. Now a couple of notes. First, no, Matthew Henry is not Catholic. He was recommended to me by a faithful, Traditional, Catholic priest. I have not come across anything anti-Catholic so far. I believe, not in a prideful way, that I am formed well enough in the faith that I could spot a direct heresy or at least be able to pause and seek clarification either from my spiritual father, a faithful priest, the Catechism or a search of Catholic commentary or the teachings from the Church Fathers. As a matter of fact, I love this quote from Matthew Henry, “The written Gospel which we have to this day exactly agrees with the Gospel which was preached in the first days of the Church.” That quote friends directly affirms Tradition. There wasn’t a book called the Bible that the Apostles walked around preaching from. In the early days of the Church so much of it was passed on orally and this is the foundation for the Tradition, capital “T” Tradition. “Sacred Tradition comes from Christ. It’s the full, living gift of Christ to the Apostles, faithfully handed down through each generation. It is through Tradition that the Holy Spirit makes the Risen Lord present among us, offering us the very same saving Word and Sacraments that he gave to the Apostles! The word “tradition” actually means handing down something to another person. Secondly, Wow! I love how Matthew Henry sees Zechariah’s “punishment” as a kindness from the hand of God. How many times in our own lives do we see a punishment when in fact we can later see it was a kindness? I’m always surprised, that I’m surprised when I remember this. 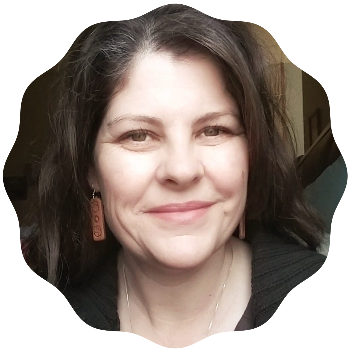 I am a mother and sometimes what my children might view as punishment is, in reality, a preservation. Why am I always surprised when I remember my heavenly Father acts in the same way?! Rev. Cornelius Cornelii a Lapide makes the connection between Elizabeth’s words calling Mary blessed among women to the same words used to describe Jael and Judith in the Old Testament Judges 5:24 and Judith 13:18 respectively. I love it when obvious connections can be made between the Old and the New Testament! And finally, in Mary’s Magnificant, she exclaims, “my soul praises the Lord” and “my spirit rejoices…” Notice how joy follows praise. I know this is something I need to be more aware of every single day. Do you have a Matthew Henry book or do you read it online? AMEN also! Thank you for leading and walking this journey with us all!